So you got a little sneak peek of our craft closet when we showed you the cacti wall (here), but today we have a full tour for you. We have a log of supplies that we try to keep organized. We built the shelving system to hold most of our containers and baskets of stuff. We also put in the peg board wall to hang some of our supplies. We love how the closet turned out. We hope you do to. Skylar's room has been in process for quite some time now. Since like August of last year to be exact (that is terrible)! Anyway, we finally got all of the pieces done and we are really pumped to share them with you! Most of the things you will see in Skylar's room are diys that we have done throughout working on her room. All of the furniture was either given to us or we got it at the thrift store. Most of the other stuff you will see is from Ikea or Target (we shop there A LOT). 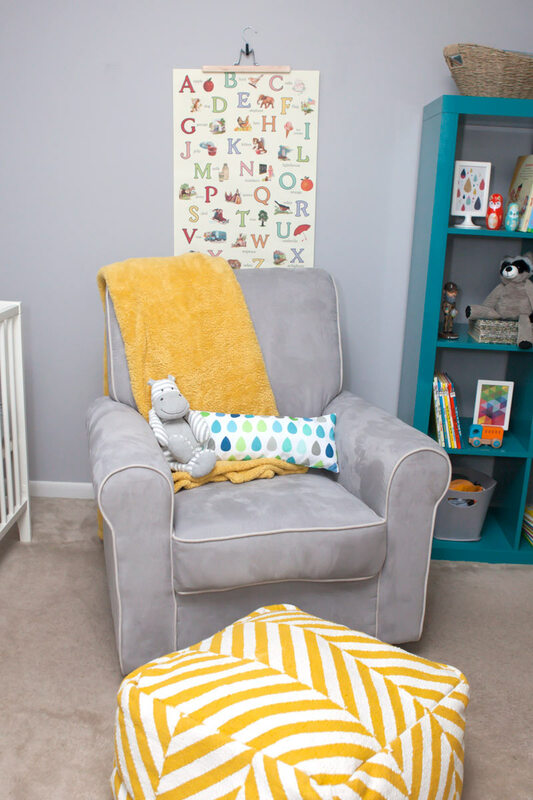 As promised you get an inside look at Mr. Noah's nursery! I tried to find fun pieces that worked for a nursery, but would also work for Noah as he gets older. I like to mix a variety of new and old and handmade things. I really enjoyed finding and making all of the different pieces to go in his room. I adore Noah's gallery wall! It is probably my favorite part of the nursery. I love that when I change Noah's diaper he just lays there and smiles at his wall. He is especially a fan of the Heroes & Villains poster. (find it here) You can find a tutorial for the moon phase print here and our gold frame post here. This is a mobile I made. My inspiration came from Alison's mobile at thealisonshow.com. 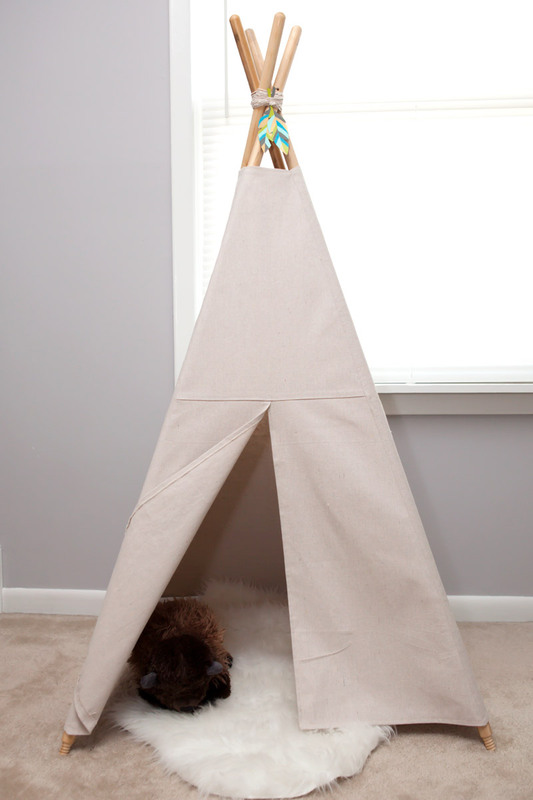 Even before Noah was born, I had already decided that he needed a teepee. This is one of those things that is really more for me than him at this point, (shhh don't tell) but I can not wait for us to read in there.